T.H.E. Hot Tub Party of the Year! Kicking off your HotSpring Hot Tub with the social gathering of the year! Planning a themed spa party – simply coordinate your food, decorations, and activities accordingly. Set the mood with candles, patio lighting or torches. If mosquitos are an issue, don’t forget the mosquito netting or citronella. For an added splash, scatter a few festive touches around the spa. Here are some great party theme ideas. Hawaiian Luau: Decorate your backyard with tropical flowers and bright colors. Encourage everyone to come dressed in the theme by wearing Hawaiian print. For a little extra fun, have a contest for the most outrageous attire. Upon arrival greet your guest with a lei. Since you’re at a luau, don’t forget to include a carved fruit bowl with your refreshments. 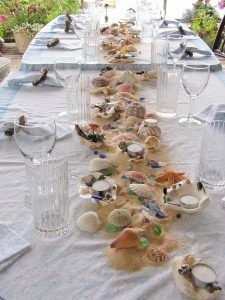 Beach Party: Simply scatter seashells on the table, cover the chairs with beach towels, and decorate with beach accessories. Enjoy hot dogs and ice cream. It’s that simple. 1950’s Night: Decorate with black, white, pink, and Tiffany blue around the spa. Serve cheeseburgers, french fries, and milkshakes. Crank up the Elvis tunes. Spice up the party with a 50’s contest for the best costume or vintage swimsuit. Movie Night: Put up a big screen television outside or rent a projector and watch a movie on the side of the house. Serve popcorn, soda pop, and melt in your mouth M&M’s. Don’t be caught off guard, some guests will forget their towel. So, prepare beforehand. 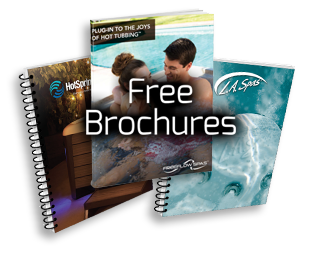 Don’t over invite, try to limit your guests according to the hot tub seating or plan on soaking in shifts. Be sure to properly balance the pH levels in your hot tub the night before, plus test the water to confirm proper sanitization. 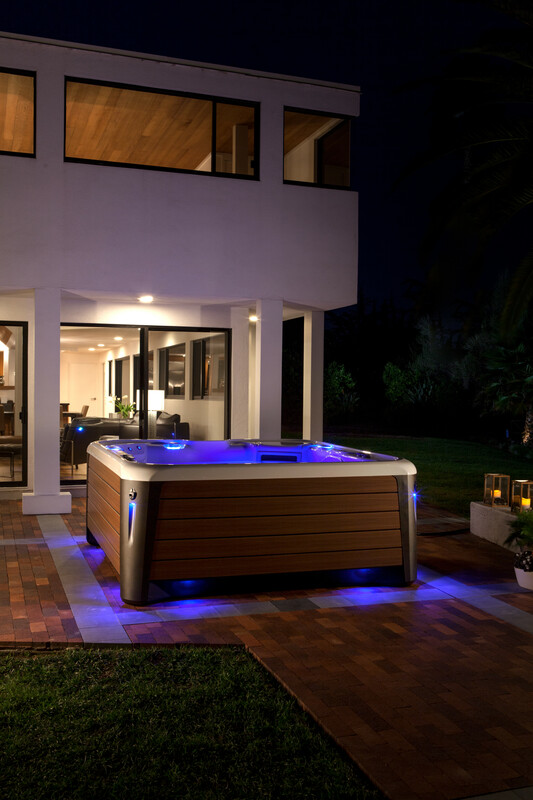 If you need any help getting your hot tub in tip top shape, contact Florida Spa and Pool Warehouse at 352-436-1742.